Kyle + I made it official April 30, 2016. We made it legal September 13, 2016. I'm sure you're used to seeing this by now, but all photos in this post are by Shari + Mike Photographers. 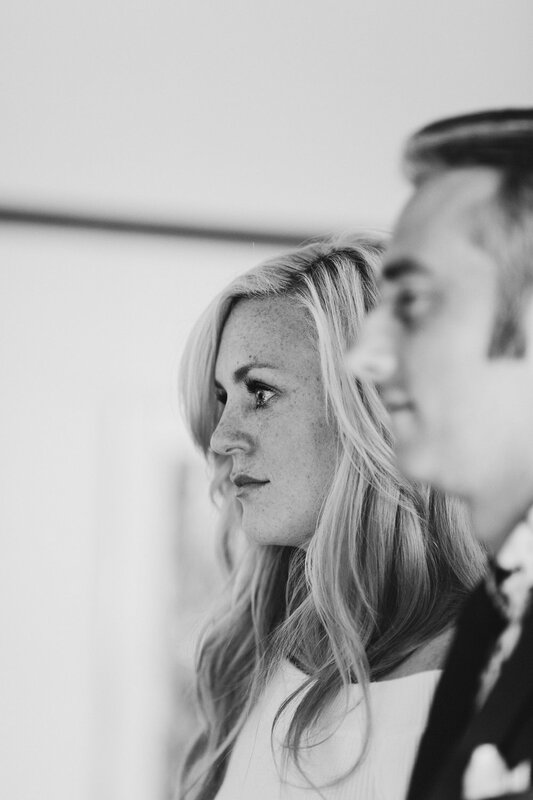 Kyle + I had our dream wedding April 30, 2016 + we've been married in our hearts since then. Unfortunately the government doesn't recognize that we promised forever without a specific piece of signed paper presided over by an official officiant, which after our very beautiful but not legal ceremony we did not possess. Kyle + I really wanted to be able to check "married" on the Census so we decided that we should pick someplace fun and head into City Hall and get ourselves that coveted piece of paper, just us + our insanely talented friends Shari + Mike and Erin + Mac from Hello Tomorrow. K + I were headed around the world on our honeymoon and looked into getting married in NYC + Iceland, but decided to get married in Kyle's #1 dream destination rather than his home state (getting married in India, my #1 dream destination, turns out to be basically impossible, if not actually impossible as 2 Canadians.) NYC would be awesome too and A Practical Wedding has a really clear guide on how to do it, if you don't want to head off to Iceland like we did. 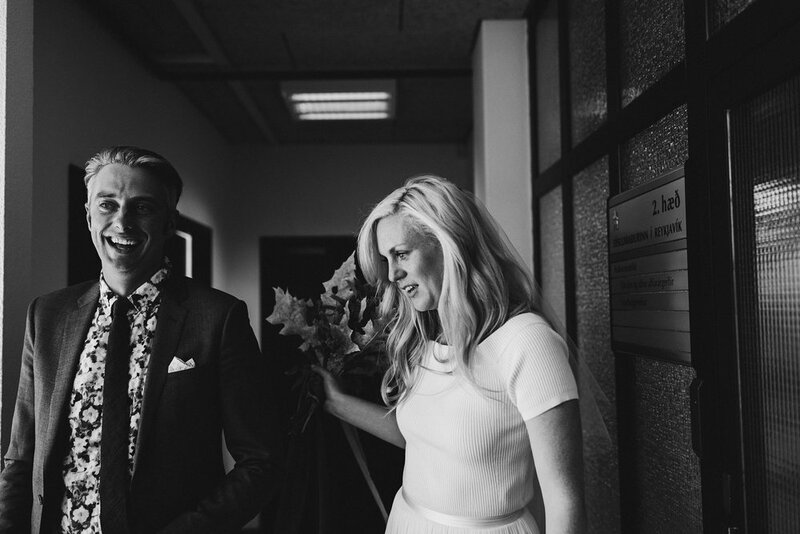 Because we already had our dream wedding we didn't really need many things in terms of stationary or flowers or fancy meals + we decided that an office wedding would do perfectly fine for us. 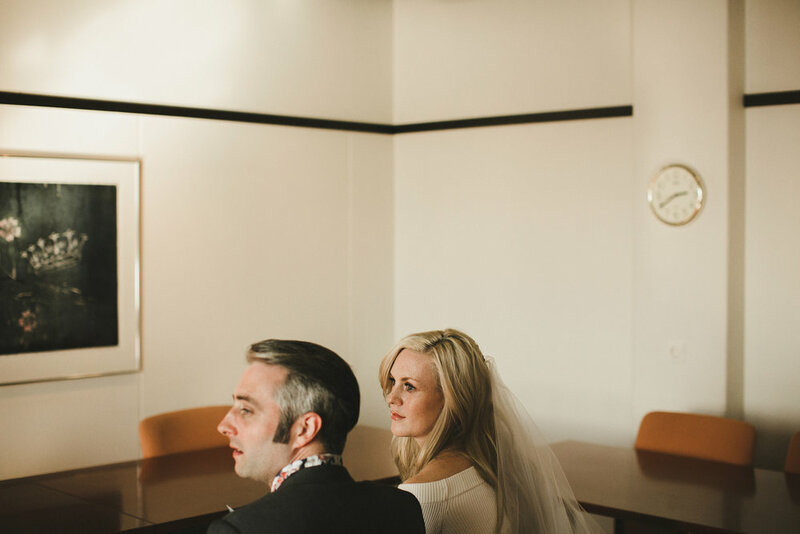 We ended up getting married in the District Commissioner's Office in Reykjavík and it was super lovely. Our commissioner wrote our names down phonetically (turns out that Howe is tricky with an Icelandic accent) + her talk was lovely and it's possible I cried so hard through the whole thing that I can't remember any specifics of what she said other than there was something about responsibility to our community + somewhere in there I'm pretty sure that my heart almost exploded from happiness. 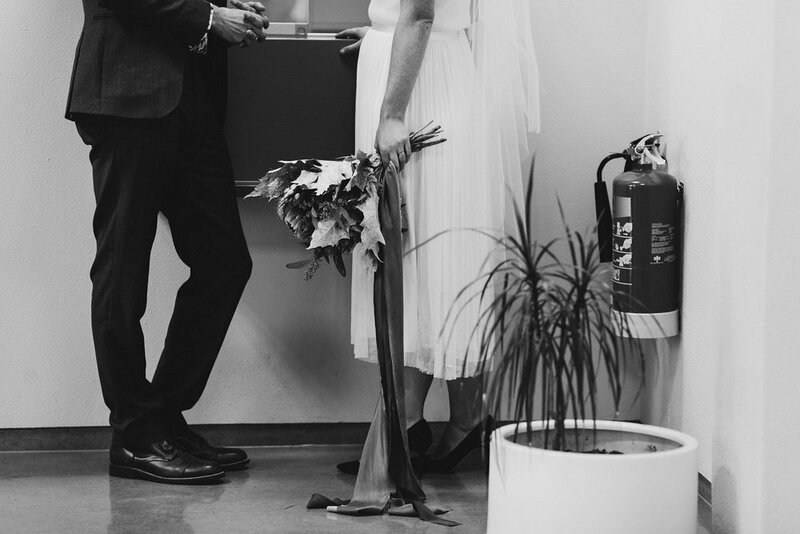 This particular post isn't about the romance of it all though, it's about how to get a piece of paper with some Icelandic writing on it that you sure hope says you're married. Figure out what District you want to get married in. They won't book an appointment for you until they have received your documents, and there are some timing issues explained below, so you might need to be a little flexible on your dates. We planned our trip roughly around when we wanted to get hitched and then booked our AirBnBs after we had an official appointment. There's a couple moving pieces // minor gambles on the timing as you have to mail things to Ottawa + wait for them to mail you back + mail things to Icleand so they arrive at the right time, so please make sure to pay attention to that as you go along. Show up a little early and remember to get out cash to pay for your certificate. It's got to be cash! (The prices might have gone up but we paid 7.700 IKR for ours.) Also remember your passports when you head into the office. All your other documents will be there waiting for you. Iceland is divided into different districts and you need to pick which one you want, and that particular District Commissioner's Office will be in charge of getting you married and handling your documents. Click here and scroll over the map to see the different districts. Click where you want to get married and send them an email. We emailed both The West + Reykjavík but didn't end up hearing back from The West, so I'd suggest shooting off a few different emails and seeing what comes back. You don't have to get married in an office, you can get a Commissioner to follow you to the ends of the earth so you can profess your undying legally binding love for each other overlooking the ocean atop a moss field if you want. The information they gave me was - for ceremonies outside the office the fee varies, but the starting fee is approx. 47.700 ISK, and then an hourly rate after that. A District Commissioner office representative can possibly come to an outdoors location, but it would be best if you choose the location first and then contact the District Commissioner office of that area, where the ceremony is to take place. Your paperwork should then go through that particular District Commissioner office. If you want a cheaper /easier suggestion but still want to get married outside I suggest you get a friend to "marry" you outside + then the next day sneak into the city hall with your photographers to sign the papers. Iceland is going to ask you for this, but as a Canadian you can't actually get one. Instead you need to get a Statement in Lieu of Certificate of Non-Impediment to Marriage Abroad and in order to get that you need to sign an affidavit in presence of a notary. Your notary will write your affidavit up for you + make it super official and everything, but ours kind of had to guess at what to say, so as we know this worked you can provide this to your notary. You also need to fill out a form (we found it confusing and just put in as much information as we had) and send it into the Canadian Government. The forms change pretty often apparently, so here is a link to where you go to find out what forms you need. Current processing time with Canada is 20 working days from the time your documents are received. Your statement from Canada cannot be more than 8 weeks old [40 working days] when Iceland receives the original documents. So you have a few days of mailing time from home to Ottawa, Ottawa to home, home to Iceland, and the documents need to be in Iceland a week before your wedding, so it's a bit tricky. Don't forget working days means no Saturdays or Sundays, so do a careful calendar count-back from when you want to get married and send things off based on that. Canada processed ours incredibly quickly (like 10 working days not 20, but what are you going to do? ), and our documents were technically dated 2 days earlier than they were supposed to be but Iceland gave us a pass on that. When you email in your forms they check them to make sure they're OK so if your timing is off a bit you might still have time for a second chance to get it in. After our scanned + emailed documents had been reviewed + approved by the office we put in the real mail the original Hjonavigsluskyrsla, statements in lieu and birth certificates, which were all handed back to us along with our marriage license. It's really nice that they check before you mail them in so there's no nasty surprises once it's too late. They don't have to attend the ceremony, but they do have to be trustworthy persons. These persons do not have to be residents of Iceland but have to be over 18 years of age. If you or the two trustworthy persons do not have an Icelandic ID number, write date of birth: DD/MM/YYYY. We got two of our friends who had been recently married who we had accidentally told over a beer that we were going to run off to Iceland to sign the papers for us. Of course your photographers also make good sense to sign your papers, and ours signed the book in the office. I think that's it. It started off seeming really easy + then it felt kind of complicated, but it all got sorted out + other than some Canada Post mix ups it turned out to be relatively straight forward. You could hire a [what I felt to be very expensive] planner to help you with the paperwork, but I think you still have to do almost all of it on your own, because you still have to mail things to the Canadian government + scan things + get your trustworthy friends in on it. Overall I think if you want to get legally married in Iceland, you can do it. 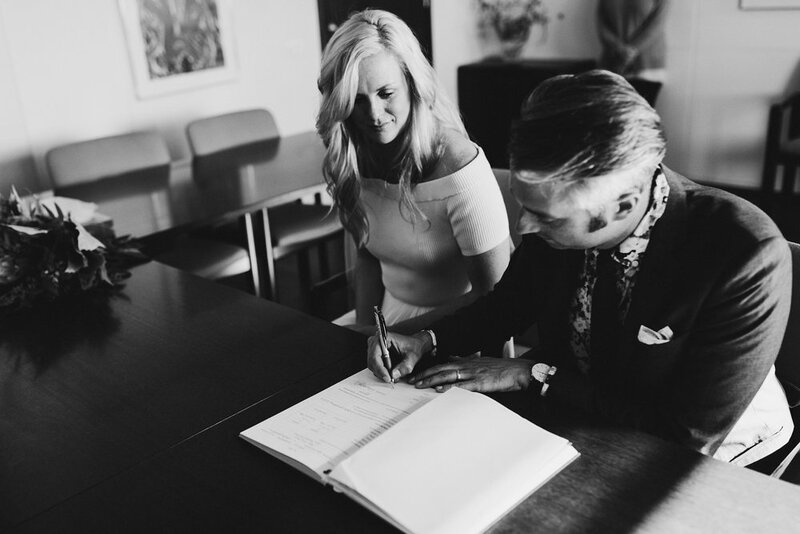 I think it's awfully wonderfully fun + special to have an Icelandic marriage certificate, especially one that says Kyle John Howe wanted to marry me!